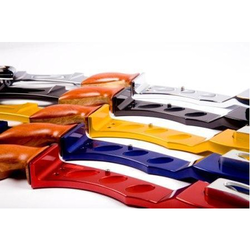 Owing to the affluent knowledge, we are capable to provide Electro Color Anodizing Service. Moreover, the presented series of products is properly checked on varied industry standards to make sure the longer life. Electro-colouring is the process by which the load is transferred to another tank and immersed in a tin solution. A colour code number is entered into a computer, which calculates the emersion time required to produce the desired colour match. An alternating current is passed to the item whilst immersed in a tin solution. We provide excellent Light Champagne Electro Color Anodizing that produces a light colored coating on the surface of the metal. 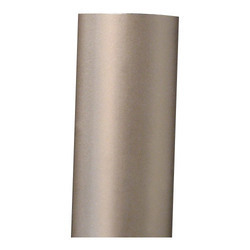 This Light Champagne Electro Color Anodizing technique finds application in engineering coating applications where wear resistance, hardness and corrosion protection are required. We are supported in our service operations by our team of highly experienced professionals who take each job as a challenge. The Electro colouring anodizes we use minimum of 15 micron thickness which is essential in this case. required. Application of premium raw materials, attention to detail and eye on timely delivery makes our services most appreciated. Sindhu Enterprises are the leading manufacturers of Electro Chemicals Colour Anodizing in Pune.